Since 1999 Rockford has been home to the Rockford Icehogs, an American Hockey League Affiliate of the Chicago Blackhawks. 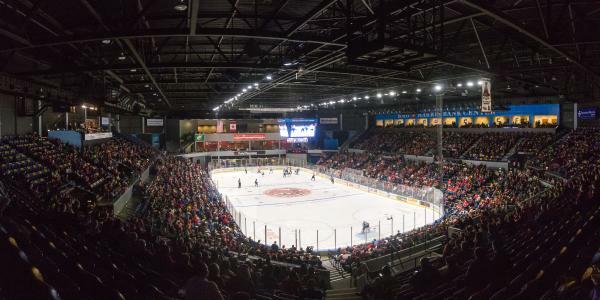 With home games located downtown at the BMO Harris Bank Center, hockey loving locals and visitors alike love to go “hog wild” over the IceHogs. The intimate seating at the BMO means you get to be right up on the action and the great crowd interactions gets the place rocking. Notable players that once graced the rink in Rockford include current Blackhawks like Corey Crawford, Scott Darling and Andrew Shaw. Check out the IceHogs schedule and get your tickets for the action here.